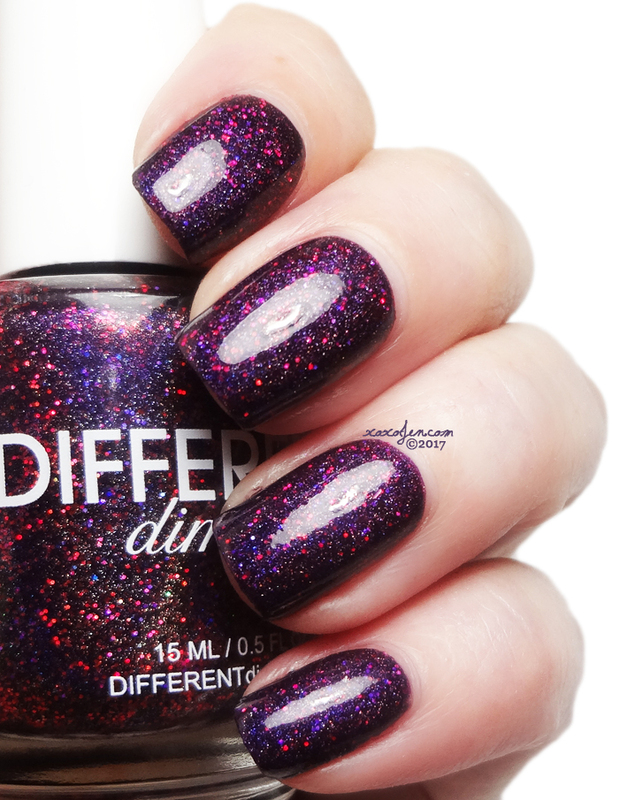 I purchased the Mystery Doorbuster #3 from Different Dimension's holiday listings for 2017 and it's a beautiful purple shade! 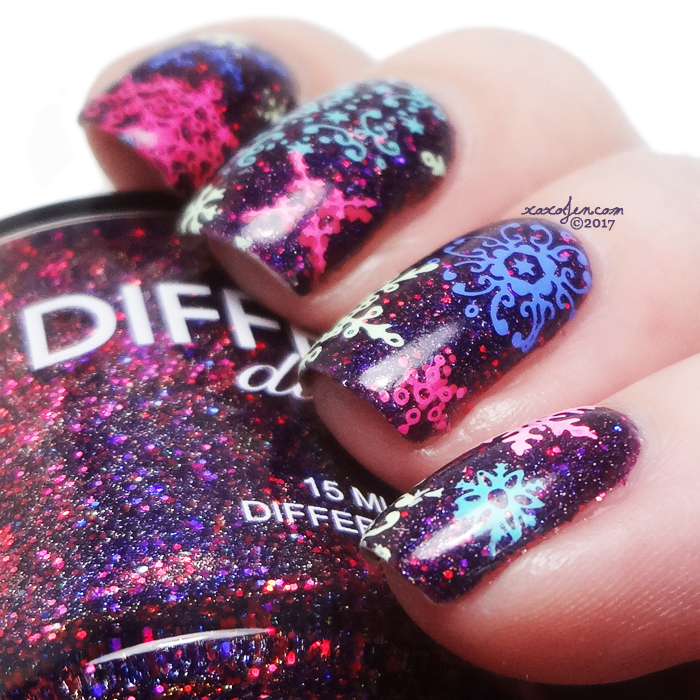 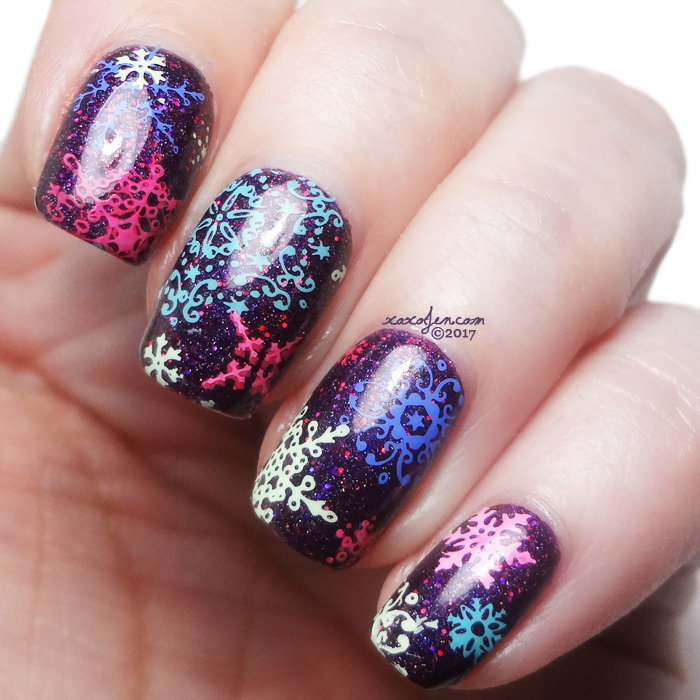 Stamping with MDU polishes and a snowflake design pumps it up another notch! 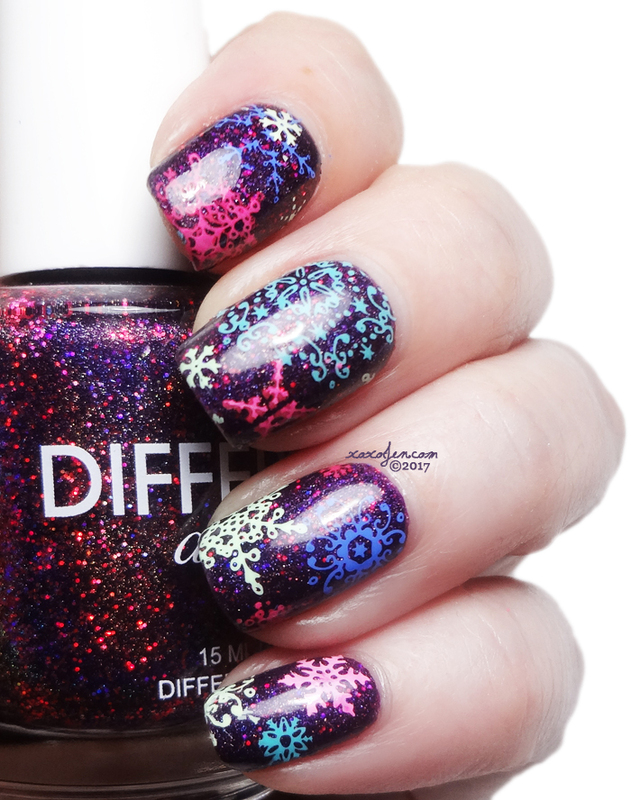 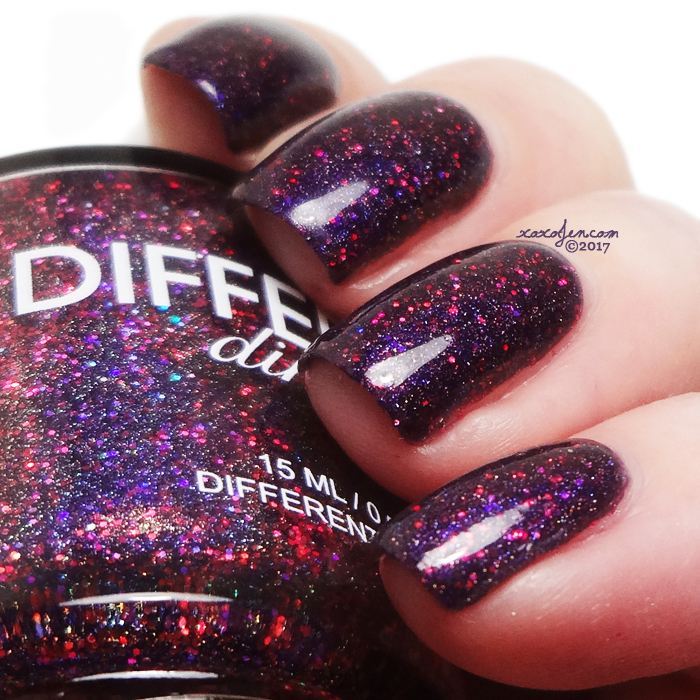 Did you get any mystery polishes last year?